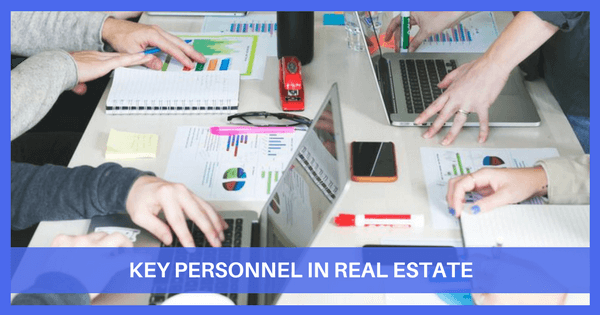 A Person with a state license to represent a Buyer or a Seller in a real estate transaction in exchange for a commission. An agent hired by the Buyer to find them a home that matches their needs and manage the transaction documents. Generally, the Buyer's agent is paid from the commission fee agreed to by the Seller. This means that most of the time, a Buyer's Agent is free to the Buyer. An agent hired by the Seller to list, advertise and promote to sell their home. The agent also manages the transaction documents once a Buyer has made an offer. Generally, both the Listing Agent and Buyer's Agent commissions are paid by the Seller. An agent that is acting as both the Listing Agent and Buyer's Agent. Also known as dual agency or dual representation. Both parties must agree to this type of representation. Generally, the Dual Agent receives both sides of the commission. A representative of a bank or other financial institution. They help customers identify their borrowing options, help them understand the terms of their loan and are responsible for providing the Closing Disclosure to the borrower. Objectively and independently provides a comprehensive analysis of a home's major systems and components. Works on behalf of a lender and provides a market analysis of the subject property. An appraiser's finding is subjective and combined with market findings of sold properties within the surrounding neighborhood. Helps a home-buyer determine the homeowner's protection coverage needed and then finds the right insurance policy to fit those needs. Can give advice on all legal aspects of the real estate transaction. Additionally, they are able to draft and review contracts, help decide how to take title and assist with the consummation or closing process. A non-biased third party who works with all participants to facilitate a successful closing of a real estate transaction. At closing, the escrow officer will collect the purchase money funds from the Buyer and lender as well as the settlement costs from each party. They disburse the funds in accordance with the closing instructions and record the necessary documents to transfer ownership of the property. Searches for defects or errors that might jeopardize a Buyer's rights to a property purchased in a real estate transaction. After verifying title conditions, title officers report their findings so that issues may be resolved before sales are completed.